In Mining Engineering (also known as mineral engineering), you will learn about the technologies and techniques used for identification and extraction of minerals from the earth. Are you interested to learn more about this field! Do you know how minerals like coal, petroleum, metallic minerals and non-metallic minerals can be extracted naturally. 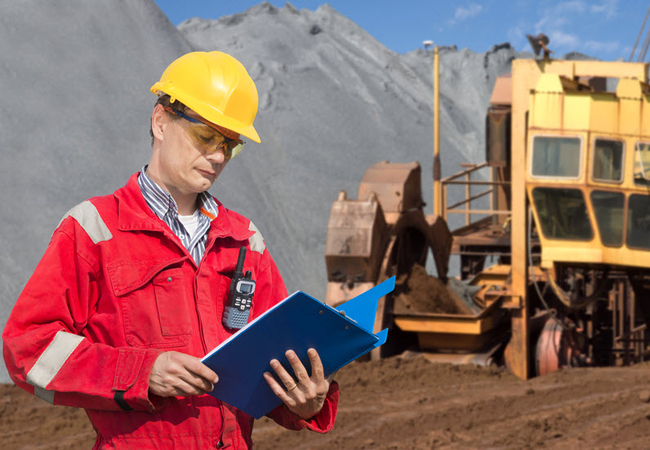 These all techniques will be taught in the study of mining engineering as one of the disciplines of engineering courses. The term Mining means “the process or industry of obtaining coal or other minerals from a mine” and engineering refers to the ”branch of science deals with design, building and use of engines, machines and structures”. What does Mining Engineering Exactly means? “Mining engineering is the branch of engineering that deals with the identification, extraction, production and processing of valuable minerals from a naturally occurring environment”. The role of mining engineer starts from the discovery of mineral resource, processing of mineral commodities, designing and construction of mines, controlling mining operations and transportation of minerals. The mining starts with the survey of finding the mineral deposit. Here the role of geologists and surveyors will begins. Mining engineers in collaboration with geologists discovers the minerals. After the identification of minerals and feasibility study, mining engineers are involved in the mining process that includes blasting and explosives. It is the duty of mining engineer to maximize efficiency and safety. The mining engineer has the responsibility to decide and select the place of explosion. “Lion cave” in Swaziland is the oldest known mine on archaeological record. The ancient Romanswere the developer of mining engineering. The Kingdom of Hungary was used the Black powder first time in the process of mining. Mining engineers are not only concerned about extracting minerals from environment but also has the responsibility to keep surroundings safe from the wastes and pollution occurred during the process of mineral extraction. Duties of Mining Engineers include feasibility study, construction of mines, maintenance of mines, designing engineering structures, ventilation and cooling in the mines transportation and marketing of minerals, etc. Do you want to be a part of this field?……………….Now, let us discuss about courses? Eligibility Criteria – Qualifying examination should be 10th/equivalent exam with minimum 50% marks. Eligibility Criteria – Minimum educational qualification of 10+2 from the recognized educational board with at least 50% marks passed with PCM as the compulsory subjects. Eligibility Criteria – After completion of B.E/B.Tech in the relevant discipline, you are eligible for PG courses. Aspiring candidates can apply for JEE Main for taking admission in undergraduate engineering courses. To get admission in IITs or NITs, it is must for the candidates to qualify the JEE Advanced examination. For master’s courses in engineering, students need to clear the GATE which is conducted once in a year. Mining engineers have a numerous career options. Arab countries like Saudi Arabia, Kuwait, Qatar and UK provides profitable career opportunities to the eligible candidates. In Mining engineering, there are enormous job opportunities are available in public sector or government organizations. Career scope in the field of teaching is also bright for candidates having master’s degree in mining engineering. As compared to other professions, mining engineers earns the more remuneration in India. They will get the lucrative pay in the field of mining engineering. In India, they will receive an average salary of 6 to 8 lacs per year. Your salary will also depends on your skills and experienceengi, location and the organization you are working for. In US, the mean yearly salary of mining engineers is $90,070. Which books are best for me for the preparation of Mining Engineering? For any queries regarding Mining Engineering, you may leave your comments below. For any queries about Mining Engineering, you may leave your queries in the comment box.